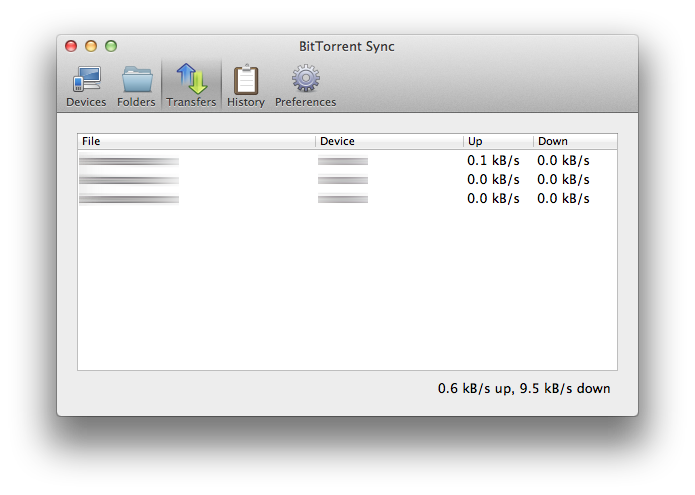 BitTorrent Labs has just released a their Sync experiment. The tag line is "Automatically sync files via secure, distributed technology. ", directly aimed to compete with Dropbox, Google Drive, Mega and the likes. 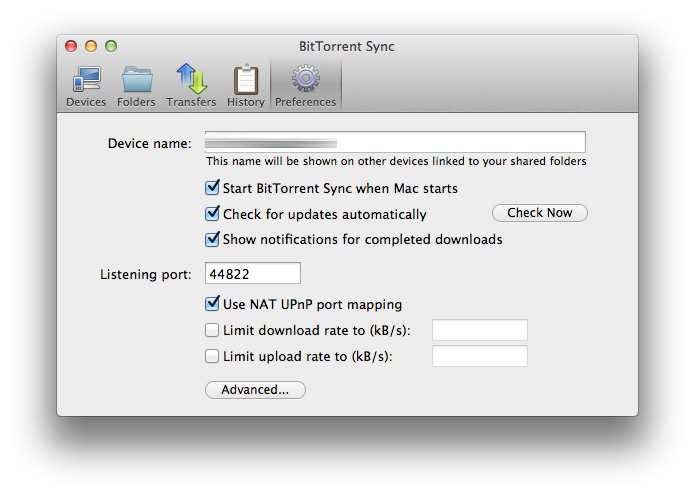 Using BitTorrent technology, the folders will be synchronized across devices via p2p protocol without any central server -- which is a plus, you and only you own your data. Additionally, the data is encrypted with a private key so you can be sure it is safe. 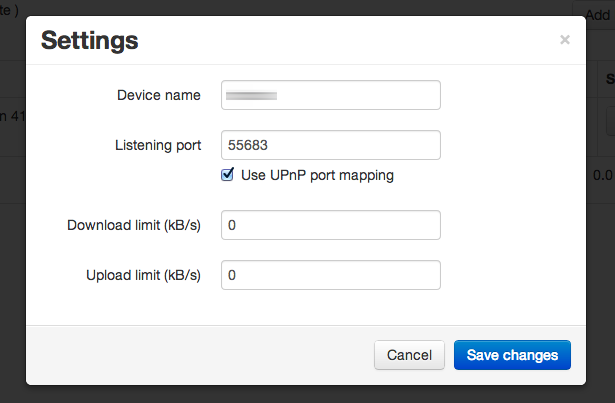 The first thing I thought when I first heard of the idea is using it to do server backup. Amazingly, the team behind BTSync provided binaries for a wide range of platforms: Windows XP SP3+, Mac OSX 10.6+, Linux with kernel 2.6.16+ in 4 different architectures ARM/PPC/i386/x86_64. Connected devices. I only have one other device. 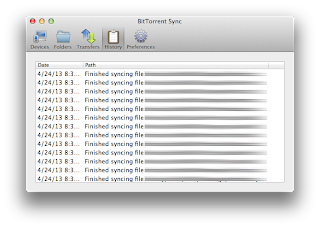 Folders to sync. BTSync supports unlimited number of folders. 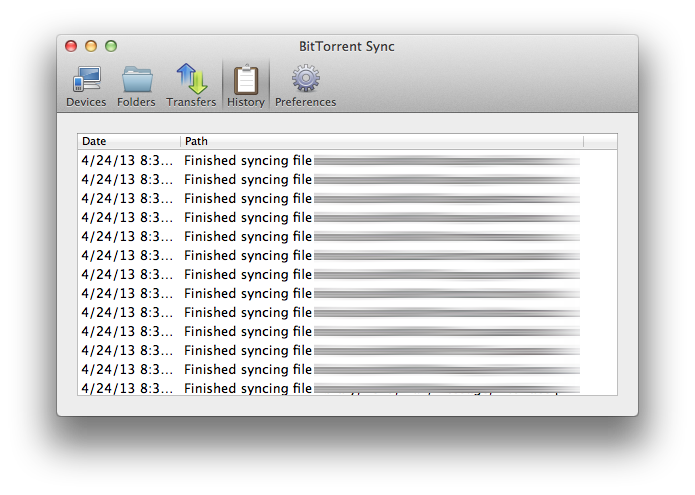 Files that are being sync'd. The Settings screen is quite basic. In my testing with a 48MB folder containing 4164 files -- typical if you are doing server backup -- it took 21 minutes to complete. The Mac app connected almost instantly to the server when I added the private key. Impressive!